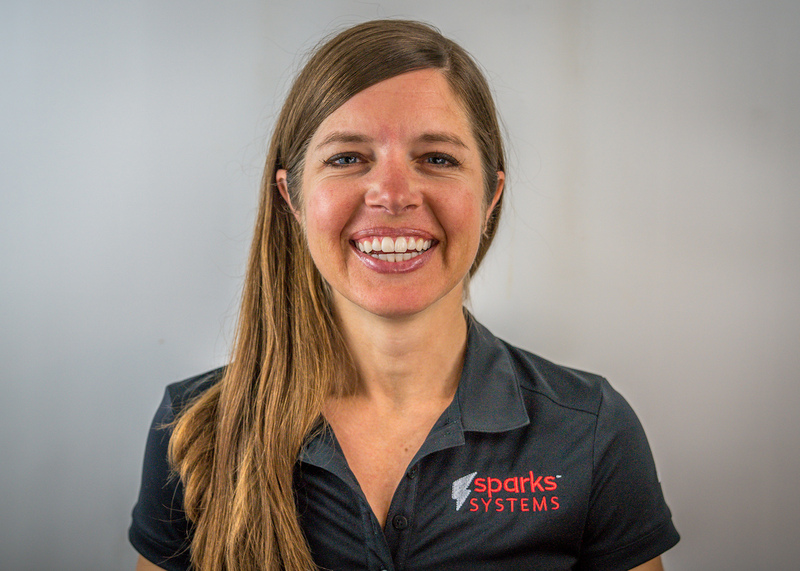 Sparks Systems founder, owner and namesake, Anna Sparks has an undeniable passion to help people reach their full health potential. As both the “brains” and “heart” of Sparks Systems, Anna oversees all of the Sparks Systems’ metabolic health and performance coaches as well as the functions of the entire organization, with her main goal of inspiring people to become the best version of themselves — both in their approach to health and in their approach to life. Anna is certified MET Level 1, Metabolic Efficiency Training Specialist (METS) which is defined as a systematic nutrition and exercise approach to improving the body’s ability to use its internal stores of nutrients, specifically carbohydrate and fat. Anna has more than 16 years of experience as a personal health and performance coach, from collegiate athletic teams to one-on-one training. She received her bachelor’s degree in exercise science and master’s in exercise physiology from the University of Mississippi, where she also played soccer and served as a graduate assistant strength and conditioning coach in the Ole Miss athletic department. She also worked as with Olympic swimmers at Auburn University while earning her master’s, and after graduation joined the University of Arkansas as an assistant soccer coach for the Lady Razorbacks. Anna’s love for soccer eventually brought her to the Valley to coach Arizona State University’s soccer team in 2008. It wasn’t long after moving to Phoenix that she realized her love for cycling and triathlons, transitioning to competitive cycling in 2009. She competed in the women’s professional peloton for six years, racing in events such as the Tour of California. Today Anna enjoys non-competitive cycling and is an avid hiker.